Our next dinner meeting will be held Wednesday October 5, 2016 at McFate Brewing Company located on Scottsdale Road, south of McDowell Road, in Scottsdale (Google Map). We will start off at 5:30 pm with a hosted happy hour, followed by dinner at 6:30 pm and the presentation and discussion starting shortly after dinner. 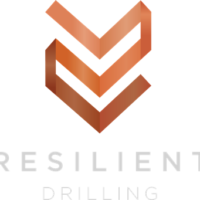 This months meeting sponsor is Resilient Drilling. Our presenter is Dr. Phil Pearthree, Interim Director for Arizona Geological Survey (AZGS). Dr. Pearthree will be giving an update on the status of AZGS, as well as a discussion on the landslide database available through AZGS. See October 2016 AEG Meeting flyer for additional details. Please RSVP by Monday, October 3, by email to aeg.arizona@gmail.com if you would like to attend. If you would like to sponsor a student dinner for an additional $10, please let us know in your RSVP as well.